But what are my colleagues doing? It's been weeks since they've been locked up in their labs, only going out to discreetly go to the Royal Library. Would they also work to solve the enigma posed by the King? Idiots ! The formulas they are looking for in the Royal Encyclopedia have been written by my hand! I am the only one to know the true nature of the mandrake root, so I will be the only one to succeed in giving life to the King's Golem! The King's Golem contains 4 expansion modules that can be combined in different ways: Starting Funding allows players to customize their initial resources. Studious Days changes the start of each round. The Royal Encyclopedia offers a whole new way to publish your research. The Golem Project is a new challenge of deduction. Will you be able to give life to this shapeless mass of clay? The "The King's Golem" expansion has four expansions: With the Start Funding expansion, players can customize the initial resources of their labs. The Studious Days expansion makes each run different by offering new rewards (and new costs!) For the order locations of the tour. The Royal Encyclopedia offers you a whole new way of publishing your research. Finally, with the Golem Project, players try to give life to a creature made of magic and clay. These expansions are presented in order of complexity. Starting Finance and Studious Days will be perfect for beginners. The Royal Encyclopedia will be more suited to players already accustomed to the basic game. The Golem Project will, for its part, reward experienced players who want to make their deductions a bit more difficult. The four expansions can be combined as you wish. Only the Golem Project needs to include the Royal Encyclopedia as well. Most expansions use Grimoire tokens from The Royal Library. 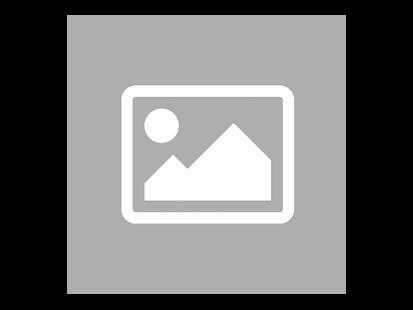 Be careful this game is an extension of Alchimistes and cannot be played alone. 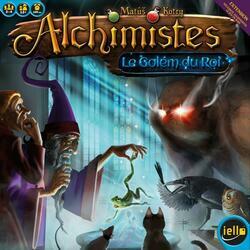 To be able to play it you must have a copy of the game Alchimistes .